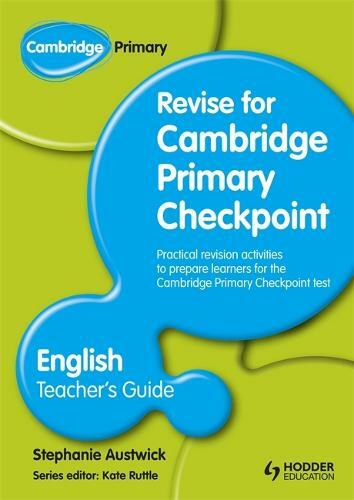 This Teacher's Guide supports revision in preparation for the Cambridge Primary Checkpoint test at the end of Stage 6. It contains revision activities for all the strands of the Cambridge Primary English curriculum: Phonics, spelling and vocabulary; Grammar and punctuation; Reading; and Writing. It includes an overview of the learning objectives, revision activities, supporting photocopiables and tips to improve learners' performance.